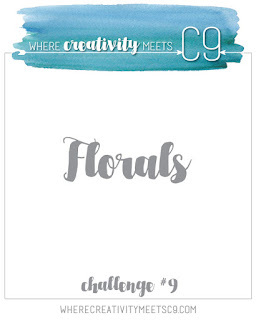 The current Where Creativity Meets C9 challenge is floral themed, so I thought it would be a good opportunity to try out the pretty floral insert for Concord & 9th's Happy Card Frame die set. I needed a birthday card, so with all of that in mind, I put this feminine design together. I started out by creating the watercolor wash background using distress inks and water on watercolor paper. While the panel dried, I did the die cutting. To get the two toned flower, I die cut the entire frame and flower from pink cardstock, then cut just the flower again from green cardstock. After doing a little bit of trimming, I adhered just the leafy parts of the green die cut to the frame image. I adhered the frame over the now dry watercolor panel and trimmed the edges so they were flush with the frame edges. 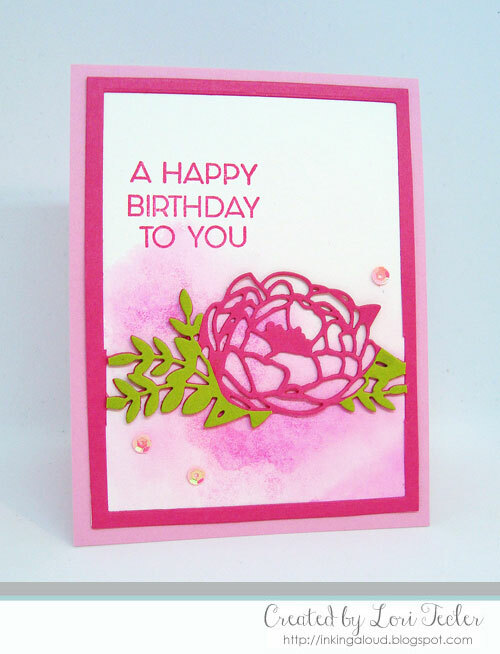 The "a happy birthday to you" sentiment came from combining several sentiments from the Say Hello set. 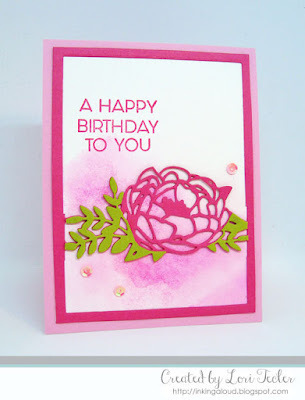 The words were stamped in pink ink to coordinate with the flower and watercolor background. For a little sparkle, I positioned a trio of pink sequins around the flower. I adhered the finished panel to a pretty pink card base to complete the design--which I've already sent off in the mail to its recipient!